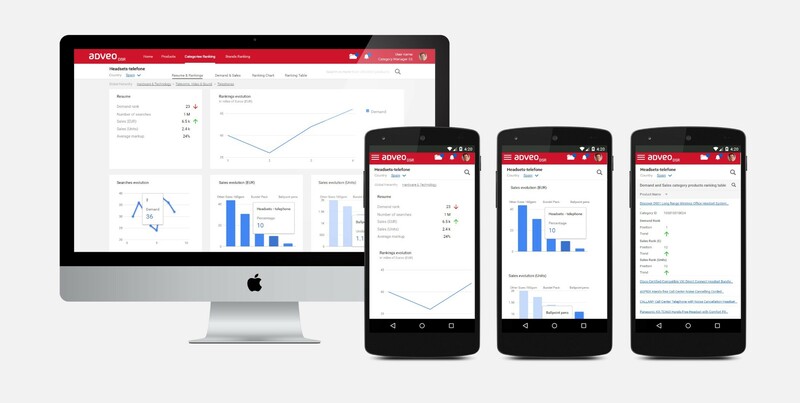 Avant-guard tools to optimize product pricing and catalogue management on a regular basis. A radical improvement bases on a cutting-edge Artificial Intelligence solution oriented to help "buy better for better selling"
The Adveo group is a European leader in office equipment, school material and stationery supplies with a revenue of more than 730 million euros. Their portfolio includes more than 40,000 products. As part of its Digital Transformation, Adveo needed to incorporate technology that would equip it with the adequate intelligence and ability to make necessary changes for its new focus on its relationship with clients. The Adveo team prioritises demand-driven quality of service and their diverse audience and user groups’ satisfaction. This is why the company transitioned from a “push” strategy oriented to the supplier-manufacturer relationship, to a “pull” strategy concentrating on the distributor-end client relationship. GNOSS developed the Adveo Group product selector and recommender. Their international product catalogue of more than 250,000 references was represented semantically. An information retrieval system was generated to integrate information about demand for these products from digital leaders (Amazon, Google...). At the same time, pricing, comment and margin evaluations were established so that these products could be classified, resulting in improved selections by Adveo when making purchasing decisions and better service provision on the long, detailed list of demand for products from distributors. Information retrieval and knowledge discovery processes became much faster and more intelligent, effectively empowering the search engine to “understand” what the user wants. 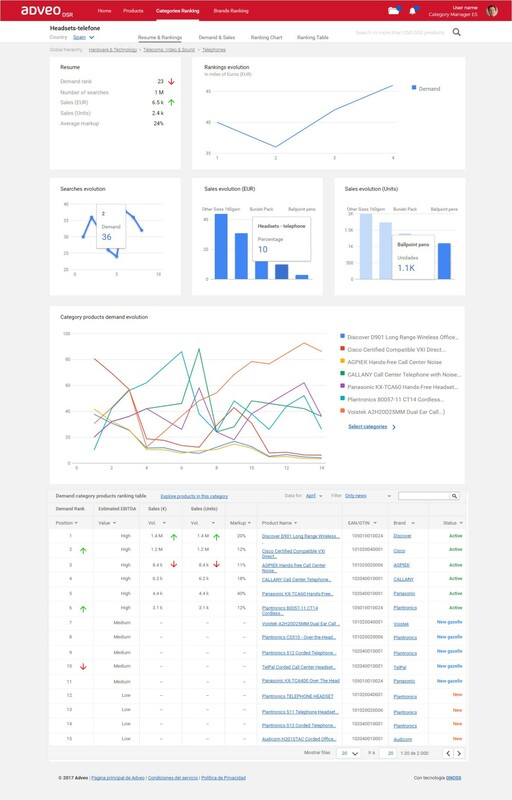 Meanwhile, the platform intuitively responds so that the selectors can continuously and efficiently search for, use, reuse and make decisions with the ADVEO Master catalogue reference set. 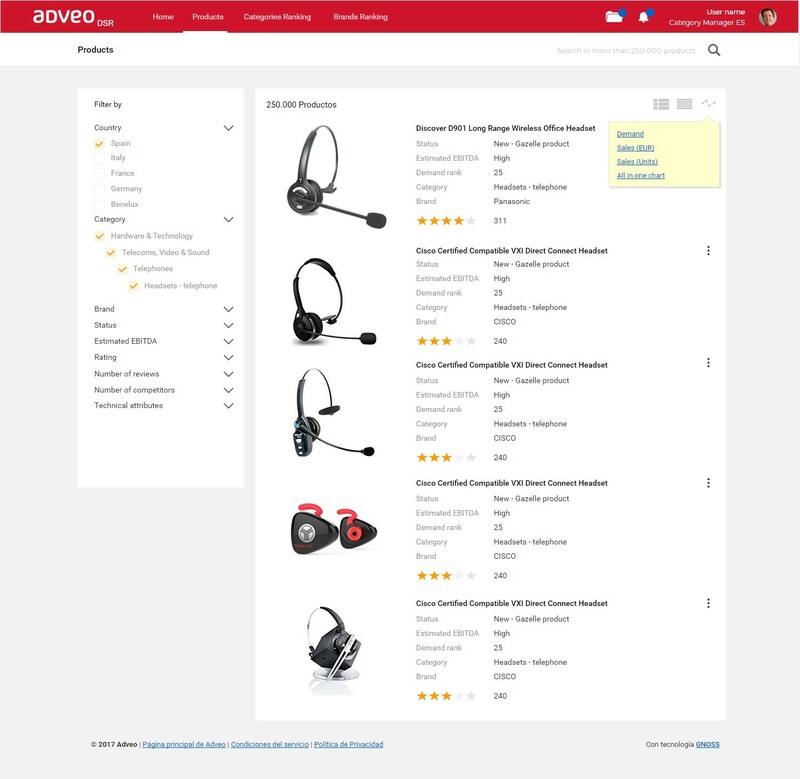 The Adveo catalogue product selection tool is based on the constructed Knowledge Graph, which integrates information about demand obtained through the public’s internet behaviour (on the main search engines and eCommerce platforms). Adveo knowledge about the sale cycle of different product families is additionally integrated into the Graph. A web interface is the built on top of the Knowledge Graph. This is where the product selection is performed, exploiting all of the information contained within the Graph. Categories are ranked and, subsequently, products are ranked within each category on the basis of the information originating from the multiple internal and external sources. In this way, the product selectors should be able to better identify the best products to maximise the company’s EBITDA. Products and categories with a greater estimated EBITDA are placed in the top positions.